A critical analysis is presented of the operating temperature windows for nine candidate fusion reactor structural materials: four reduced-activation structural materials (oxide-dispersion-strengthened and ferritic/martensitic steels containing 8–12%Cr, V–4Cr–4Ti, and SiC/SiC composites), copper-base alloys (CuNiBe), tantalum-base alloys (e.g. Ta–8W–2Hf), niobium alloys (Nb–1Zr), and molybdenum and tungsten alloys. The results are compared with the operating temperature limits for Type 316 austenitic stainless steel. 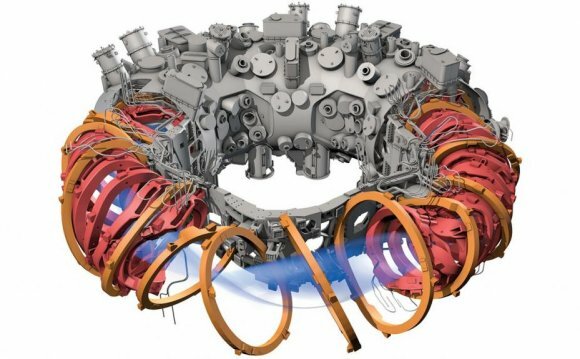 Several factors define the allowable operating temperature window for structural alloys in a fusion reactor. The lower operating temperature limit in all body-centered cubic (BCC) and most face-centered cubic (FCC) alloys is determined by radiation embrittlement (decrease in fracture toughness), which is generally most pronounced for irradiation temperatures below ∼0.3 TM where TM is the melting temperature. The lower operating temperature limit for SiC/SiC composites will likely be determined by radiation-induced thermal conductivity degradation, which becomes more pronounced in ceramics with decreasing temperature. The upper operating temperature limit of structural materials is determined by one of four factors, all of which become more pronounced with increasing exposure time: (1) thermal creep (grain boundary sliding or matrix diffusional creep); (2) high temperature He embrittlement of grain boundaries; (3) cavity swelling (particularly important for SiC and Cu alloys); or (4) coolant compatibility/corrosion issues. In many cases, the upper temperature limit will be determined by coolant corrosion/compatibility rather than by thermal creep or radiation effects. The compatibility of the structural materials with Li, Pb–Li, Sn–Li, He and Flibe (Li2BeF4) coolants is summarized.